Group Managing Director of CMC Connect (Perception Managers), Mr. Yomi Badejo-Okusanya, has been honoured by the Nigerian Institute of Public Relations (NIPR) with the ‘Bob Ogbuagu Leadership Award’ for positively impacting the Nigerian PR profession and inspiring younger practitioners. 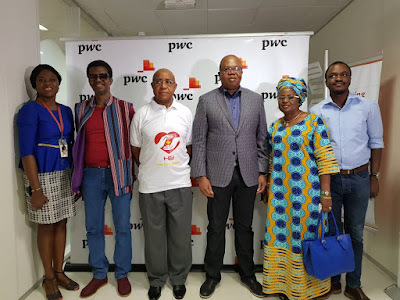 Following the successful Charity Walk by PwC's employee and alumni, the company last Friday presented cheques to five charities from fund raised by staff, partners and alumni. TPT International Limited, Nigeria’s foremost PR consultancy, is closing 2017 on a glorious note with two awards within a week by the governing bodies of the public relations industry in the country. L-R: Chief Operating Officer, TPT International Limited, Muyiwa Akintunde; former President, the Nigerian Institute of Public Relations (NIPR), Mazi Mike Okereke; Chairman/Lead Strategist, TPT International, Adetokunbo Modupe; and Chairman, NIPR, Lagos State Chapter, Olusegun McMedal, at the presentation of the ‘Best Agency to Work’ award to TPT International by the Lagos State Chapter of NIPR at a gala night held in Victoria Island, Lagos… Thursday. At the Presidential Dinner Award of the Nigerian Institute of Public Relations (NIPR) in Lagos, TPT International was conferred with the “Corporate Practitioner of Excellence 2017” award. 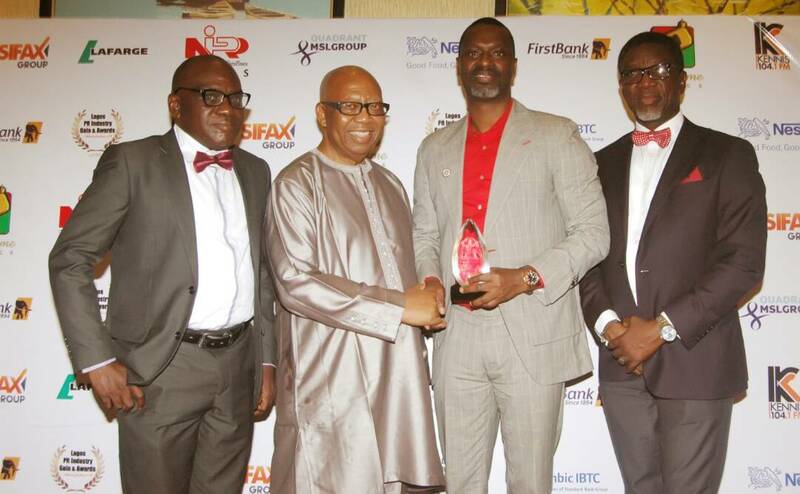 Last Thursday, NIPR Lagos chapter announced TPT International as the “Best Agency to Work” at a gala night in Lagos. 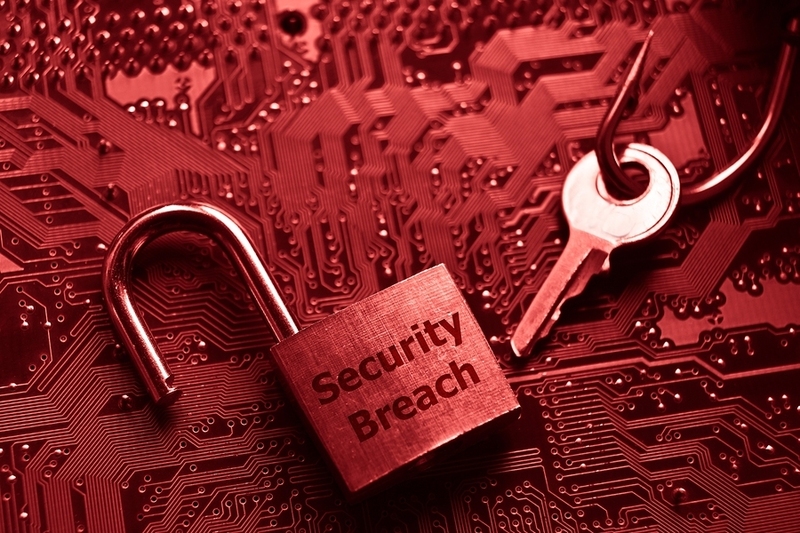 The result was the outcome of independent surveys conducted for the award organisers. ...Describes new statement by Dangote Group as "bigger lies"
The management of BUA Group have again stated that a new publication by Dangote Group on mining ownership was a "misinformation", "falsehoods" and "bigger lies". Meriem Benmardi (Algeria) is a Senior Digital Project Manager at TBWA Worldwide and CEO of BETELA Recruiting, an innovative hiring program. She has over 8 years of experience as a HR specialist and IT project management consultant and has been recognized for her leadership, including being chosen a TechWoman by the US State Department. 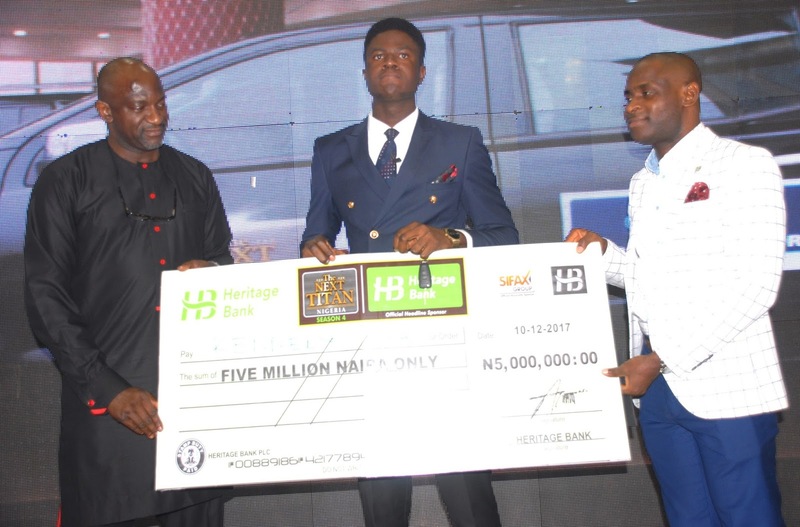 Guinness, alongside Football Icon Thierry Henry celebrated individuals Made of Black at its exclusive ‘Black Pass’ event which held at The Renaissance Hotel, Ikeja on December 18 th 2017. 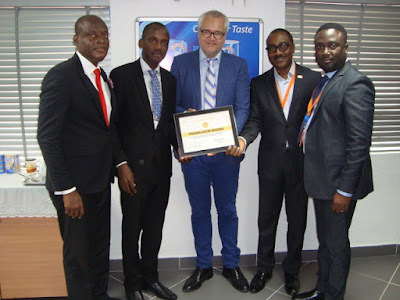 L-R: Advisory Board Member, Top 50 Brands Nigeria, Joseph Okonmah; CEO, Top 50 Brands Nigeria, Taiwo Oluboyede; Managing Director, Promasidor Nigeria Limited, Anders Einarsson; Head of Legal/PR, Promasidor, Andrew Enahoro; and Head of Marketing, Promasidor, Mr Abiodun Ayodeji, at the presentation of the Top 50 Brands Certificate of Award to Promasidor in Lagos… Monday. 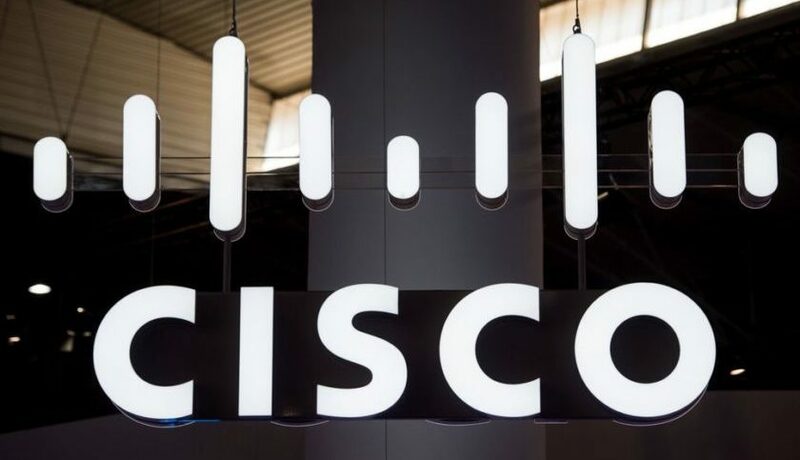 The organiser said the selection was a result of a year-long rigorous research, using Brand Strength Measurement (BSM) index, a model that tests a brand’s ability to deliver its promise to consumers. 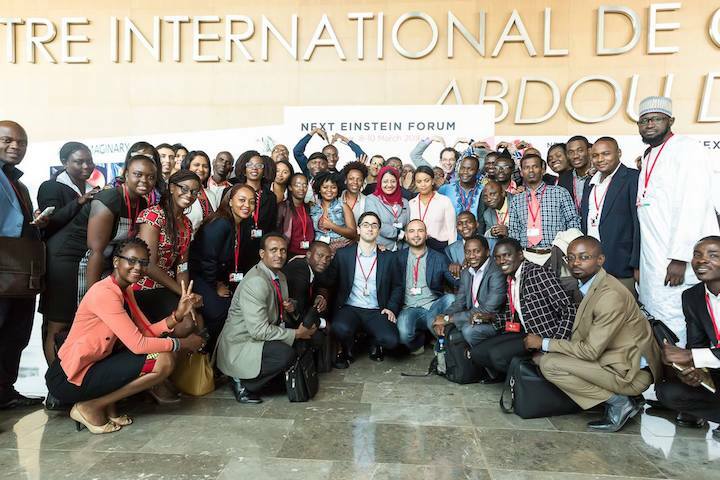 The Next Einstein Forum (NEF) yesterday announced its second Ambassadors Class, 45 scientists and tech champions across Africa, all under 42 years of age, who are solving Africa's and the world's challenges. This week will see Malta Guinness’s brand new ‘Fuel your Greatness” campaign kicking off in Nigeria with the launch of a new TV, outdoor and radio campaign. 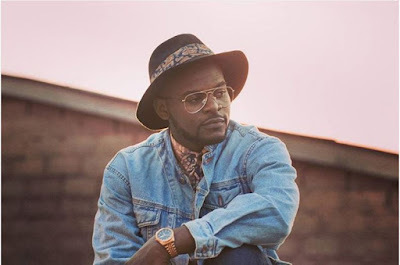 Starring locally nurtured talent Lemmy and the music of Mr Eazi, the campaign was developed to celebrate the can-do attitude of Nigerians who use their positive attitude and mentality to turn goodness into greatness everyday. Nigerian rapper, actor and comedian, Folarin Falana, popularly known as Falz thebahdguy has revealed plans to produce his own TV series and a feature film in the coming year. 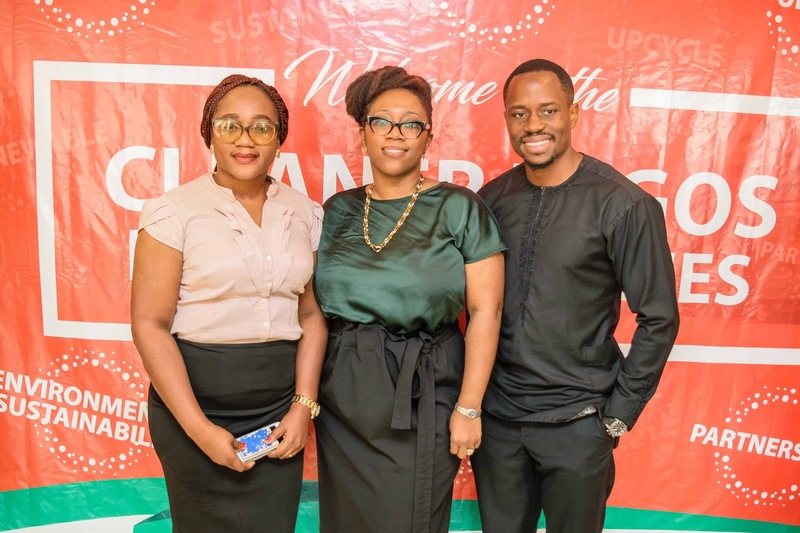 Telecommunications services provider, Airtel Nigeria, has been adjudged the best telecoms operator in Human Resources practices by the award Jury of the Chartered Institute of Personnel Management of Nigeria (CIPM). Chinese footballer Deng Hanwen has signed a personal endorsement deal with sportswear brand Umbro. 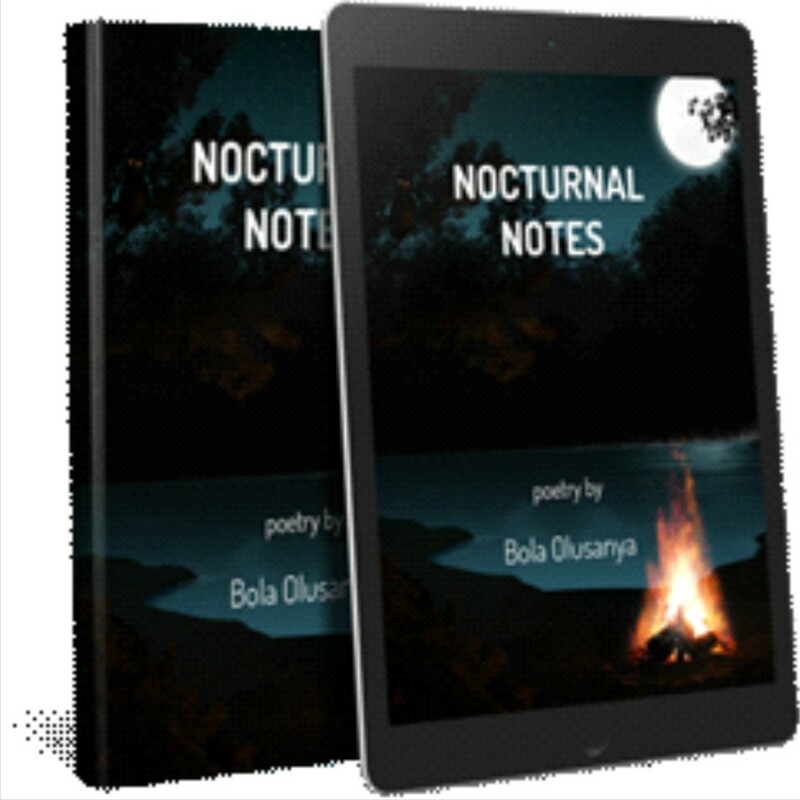 Once again, the yuletide season is here, a period popularly known for festivities, fun and more expenses. While shops are busy stocking their stores, individuals are also spending lavishly to partake in the celebration. Travelling plans is also usually in full gear and for those who will not be travelling, they will be consumed by various events and concerts lined up for the season. 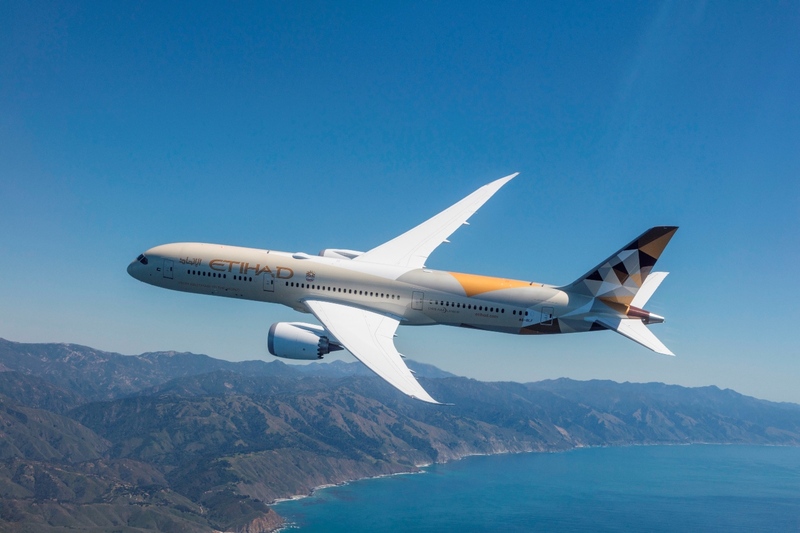 Etihad Airways yesterday announced four additional weekly flights on the popular Abu Dhabi – Malé route, taking frequency to the idyllic Maldives to 11 services a week from June next year. Royal Circle Whisky delighted its consumers on Wednesday 13th December 2017 when it organized an after party for elated movie fans who had visited the Ozone Cinemas in Yaba, Lagos to see The Wedding Party 2 advance screening. 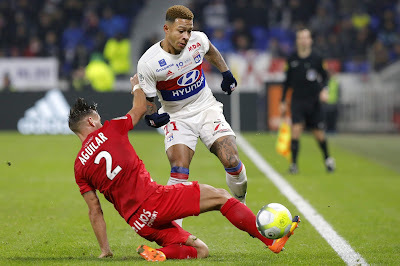 Sunday, 17th of December 2017 is a day that will linger on the minds of football fans in Nigeria as international football icon and Guinness Made of Black ambassador Thierry Henry, visited the West African country to celebrate the unique passion for football among fans in Lagos. L-R: Uche Onwudiwe, Marketing Manager Premium Core Brands, Guinness Nigeria PLC; Viola Graham-Douglas, Corporate Relations Director, Guinness Nigeria PLC; Peter Ndegwa, Managing Director, Guinness Nigeria PLC; Thierry Henry; Adenike Adebola, Marketing and Innovations Director (Guinness and Spirits) Guinness Nigeria PLC; Rotimi Odusola, Legal Director and Company Secretary, Guinness Nigeria PLC during the presentation of Guinness Made of Black jersey to Thierry on Saturday at the Fanzone event in Lagos. 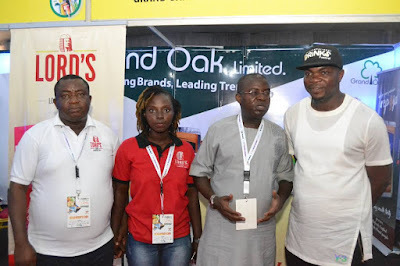 At the Guinness Fanzone event, which held at Landmark event centre in Lagos, winners of the ‘Be A Front Row Fan’ National Consumer Promotion had the opportunity to watch the West Brom vs Manchester United game and celebrate Made of Black Moments with the football legend. By 2050 more than one in four people on our planet will be African. 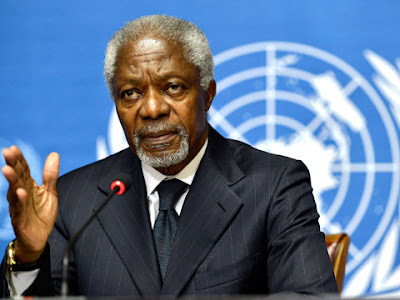 Bold action is needed now to ensure that all of them have a fair chance of leading healthy, prosperous and fulfilling lives, urges the newest and final report from Kofi Annan’s Africa Progress Panel (APP). 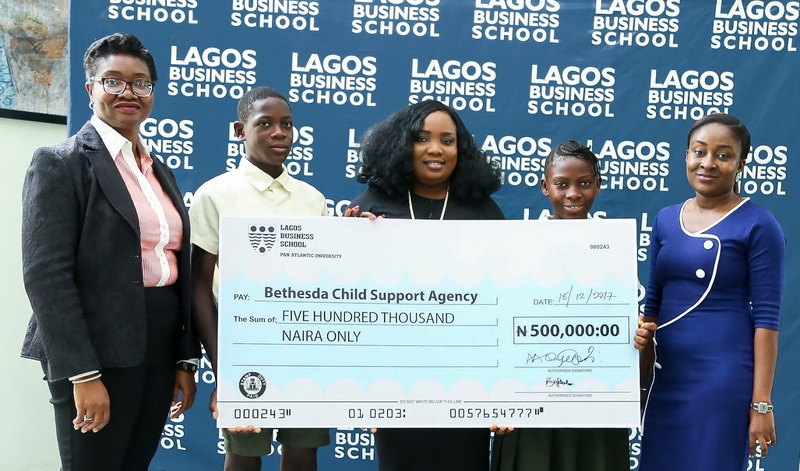 As part of its Corporate Social Responsibility initiatives of adding value in the area of education, Lagos Business School has donated ₦500,000 to Bethesda Child Support Agency, a non-profit organisation that caters to the needs of less privileged children. L-R: Bunmi Afolabi, Director, LBS; Bethesda Student; Ijeoma Nwachukwu, Programme Director, Bethesda Child Support Agency; Bethesda Student; Aderayo Bankole, Head, Corporate Communications, LBS at the donation of .5million to Bethesda Child Support Agency on Monday. 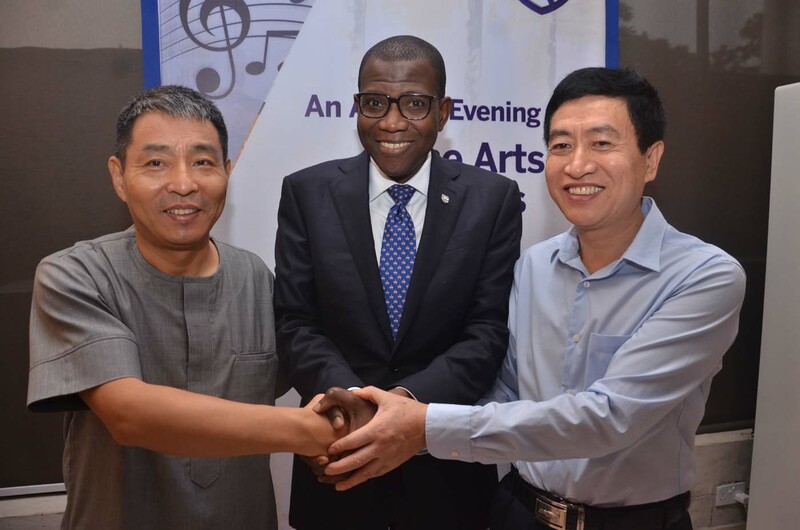 The donation, which was presented on Monday at LBS, is in fulfilment of one of the pledges made in 2016 to commemorate the School’s 25th Anniversary. 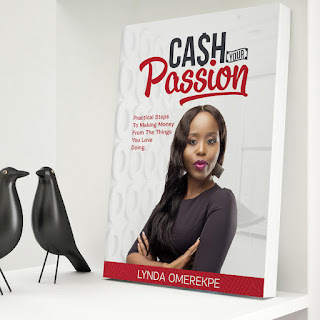 Digital media expert and motivational speaker, Lynda Omerekpe, yesterday unveiled her new book on entrepreneurship, titled CASH YOUR PASSION (Practical steps to making money from the things you love doing). The bookis a guide to helping young Nigerians overcome the difficult economic climateand achieve excellence by monetizing their passion for financial security. 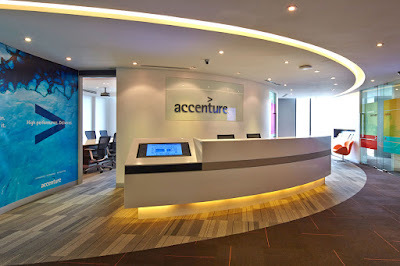 Accenture Alumni Network recently brought together educationists, tech entrepreneurs and parents to discuss the future of education as technology continues to redefine student-centred learning, learning outcomes and even the use of ICT in education. Bharti Airtel Limited, a leading global telecommunications services provider with operations in 17 countries across Asia and Africa, today said that, through its subsidiaries, it has entered into a definitive agreement with Millicom International Cellular S.A. (Millicom) under which Airtel Rwanda Limited (Airtel Rwanda) will acquire 100% equity interest in Tigo Rwanda Limited (Tigo Rwanda). South Korean automotive manufacturer Hyundai has again extended its top sponsor deal with French Ligue 1 football club Olympique Lyonnais (OL) until 2020. Stanbic IBTC has again underscored the symbiotic relationship that exists between business and arts at its yearly Fine Arts and The Acts event, which held on Thursday, December 14, 2017 at the Terra Kulture Arena in Lagos. According to the financial institution, the event, themed ‘Nigeria to the World’, also served as an avenue to appreciate its loyal customers and to thank them for their patronage in the year. 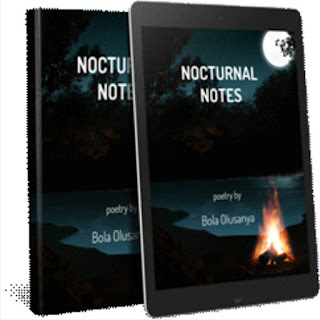 The excitingly unique event, the third in the series, featured an arts exhibition and the works of several artists, as well as musical performances, comedy, and a stage play by the Terra Kulture Crew. The exhibition segment featured the art collections of Prof Olukonyinsola Ajayi (SAN) and those of Stanbic IBTC. 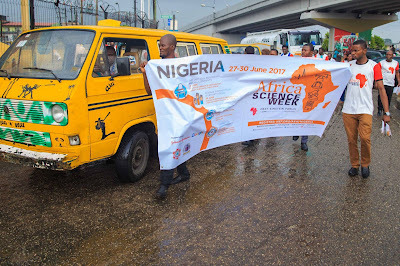 Artists whose works were on parade included Olumide Onadipe, Dare Adenuga, Obinna Makata, Julius Agbaje, Uchay Joel Chima, Gbenga Offo, and Adeyinka Akingbade. 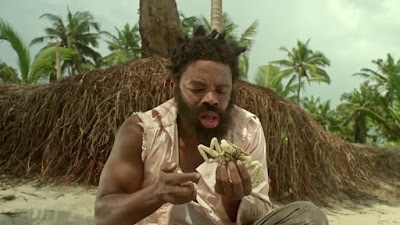 Others were Lamidi Fakeye and the master himself Ben Enwonwu. MainOne, West Africa’s leading communications Services Company and operator of the premier Tier III Data Center, has announced its official listing by Microsoft as an ExpressRoute Connectivity Provider for Nigeria. 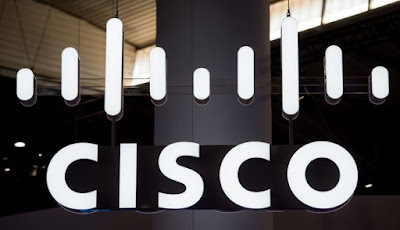 The listing follows MainOne’s launch of its Cloud Connect product and successful delivery of the Microsoft ExpressRoute service which connects large enterprises in Nigeria to Microsoft’s Azure Cloud. The International Islamic Trade Finance Corporation (ITFC), a member of the Islamic Development Bank (IsDB) Group, signed a EUR 107 Million Murabaha Financing Agreement (CFA franc 70 billion) to finance Burkina Faso 2017/2018 Cotton Season with SOFITEX (the national cotton company) as executing agent. 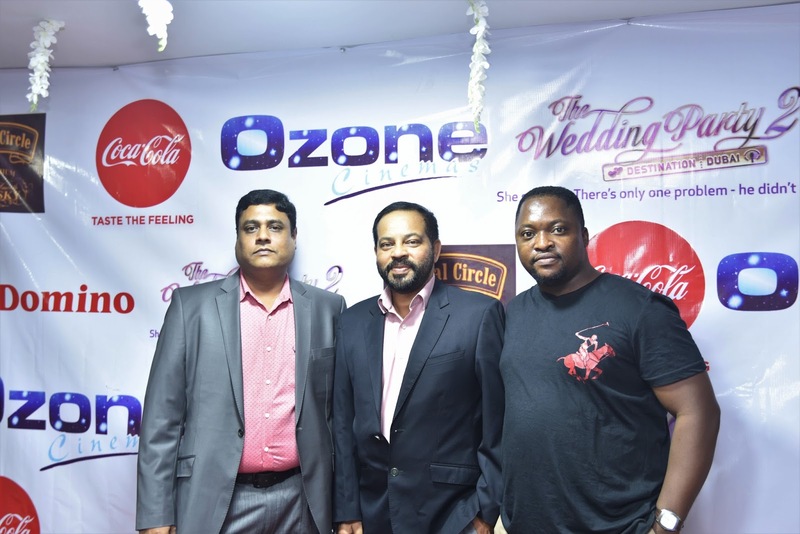 Malas Foods, a foremost catering service company in Nigeria, recently celebrated her 25 years of operation in rendering premium catering services to her esteemed customers. The event which took place at the prestigious Darlington Hall and Event Centre, Lagos, witnessed the attendance of the media and many government, business and corporate personalities. iflix, the world’s leading entertainment service for emerging markets, is thrilled to share its latest milestone – 10 billion minutes streamed across its platform in 2017. 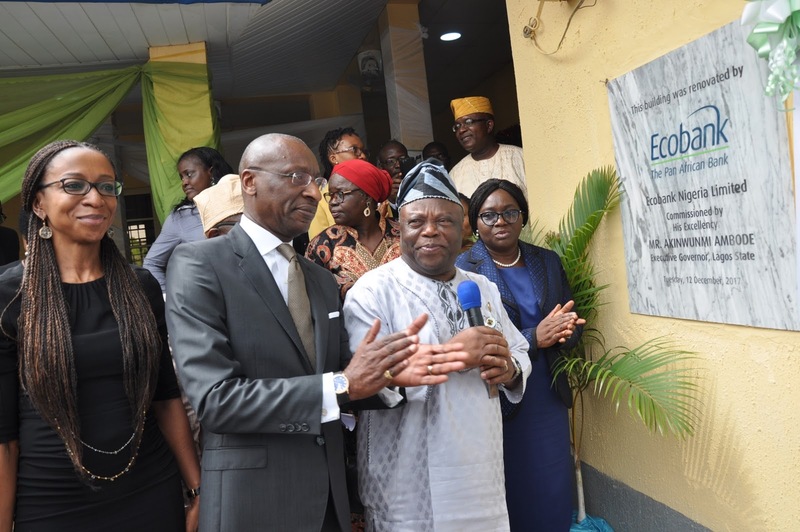 The Lagos State government has commended Ecobank Nigeria for renovating and furnishing the main building at the Agbala Pediatric Centre in Ikorodu as part of the bank’s corporate social responsibility effort directed at women and children. 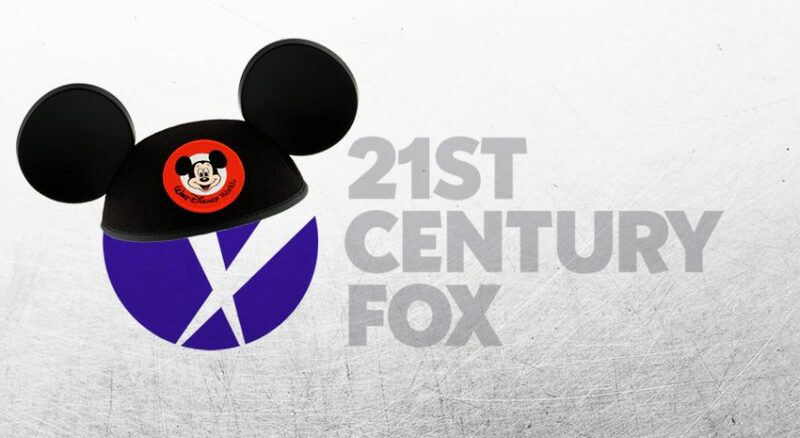 Walt Disney Company announced that it will acquire 21st Century Fox, including Twentieth Century Fox movie and TV studios, most of its cable networks, international assets like Star and Sky and its stake in Hulu for $52.4 billion. The deal will be an all-stock transaction. As part of Corporate Social Responsibility (CSR) initiatives, PwC Staff and Alumni recent held a walkathon and carnival in Lagos to raise funds for 5 Charities. 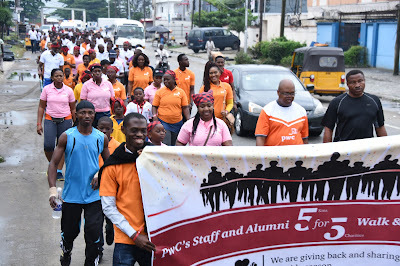 As early as 6.30am last Saturday, staff and alumni of PwC led by their Country Senior Partner, Uyi Akpata gathered at the take-off point for the 5km walk. 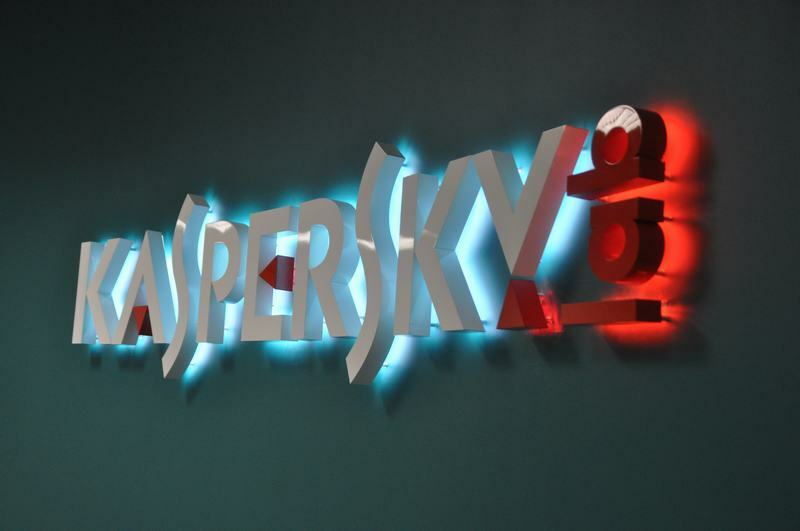 The number of new malicious files processed by Kaspersky Lab’s in-lab detection technologies reached 360,000 a day in 2017, which is 11.5% more than the previous year. After a slight decrease in 2015, the number of malicious files detected every day is growing for the second year in the row. In a bid to offer volume printing and significantly reduce ink expenditure, leaders in imaging and business solutions Canon Central and North Africa have unveiled four printers - the PIXMA G1400, PIXMA G2400, PIXMA G3400, and the new PIXMA G4400 for the Nigerian market. 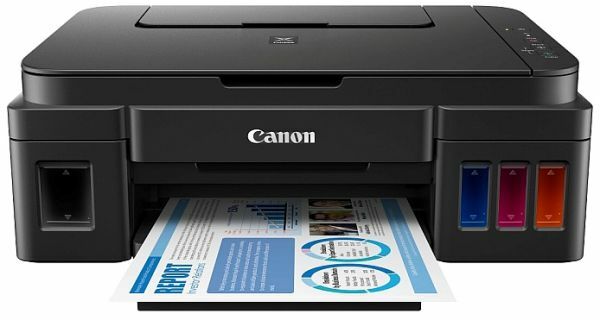 The printers are poised to expand the brand’s G-series printer range and help customers manage printing cost effectively. 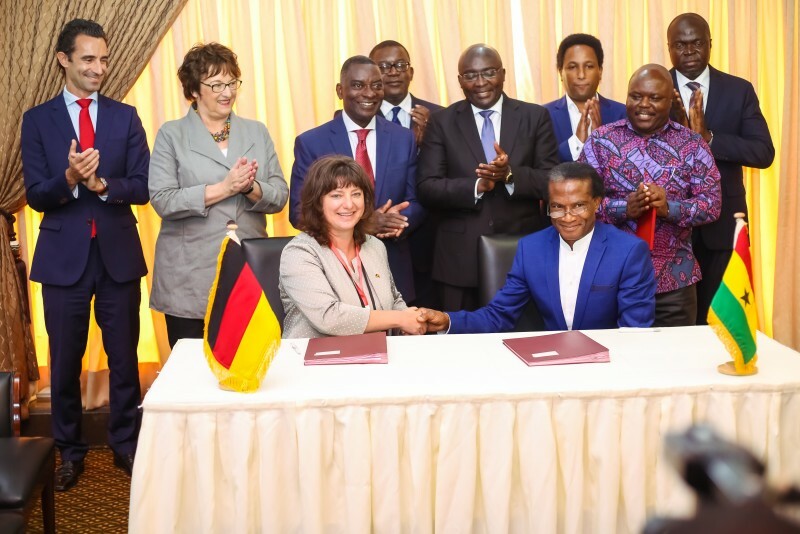 In order to help Ghana meet its industrialization targets, Siemens and Rotan Power have signed a memorandum of understanding (MoU) to develop and build a combined cycle power plant with a capacity of 660 megawatts (MW) at the Aboadze Power Enclave located in the western region. The MoU was signed today in the presence of Brigitte Zypries, the German Federal Minister of Economics and Energy, the Ghanaian deputy president, Dr. Mahamudu Bawumia. Analyzing the pressing forces acting internally and externally on organizations and society, Accenture has released Fjord Trends 2018. 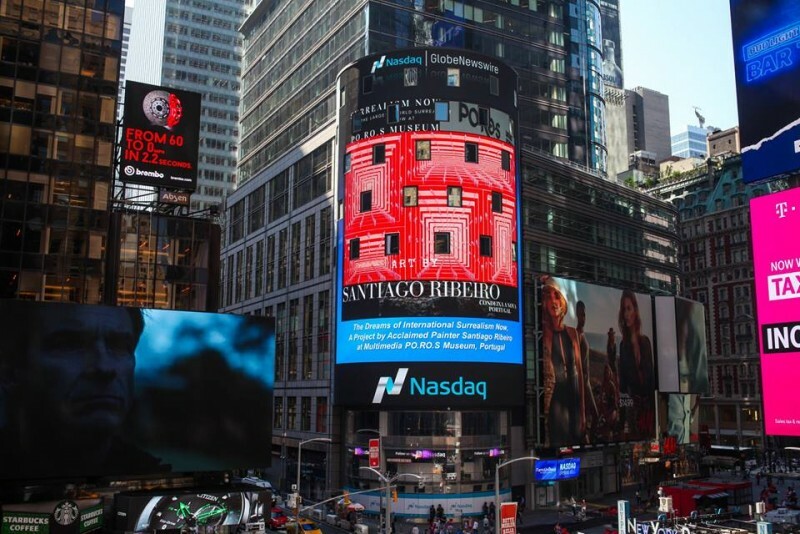 Its 11th annual report examines seven emergent trends expected to impact business, technology and design in the year ahead. Airtel’s Lost Television Commercial (TVC) has been adjudged the best advertising campaign in 2017 by the jury of the prestigious Lagos Advertising & Ideas Festival (LAIF). World Rugby Africa association, Rugby Africa, today unveiled its 2018 Competition Schedule. 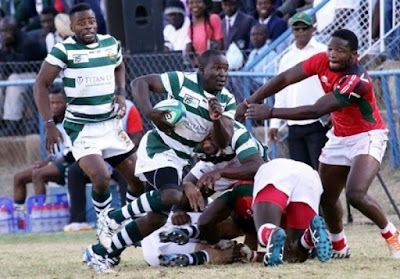 The year promises to be particularly busy with 10 competitions totalling more than one hundred fifteen-a-side and sevens rugby matches and up to 32 participating countries. The 2018 African champion will automatically qualify for the 2019 World Cup in Japan, though the runner-up will participate in a last chance bracket tournament. The first ever ACCA (the Association of Chartered Certified Accountants) Africa Members' Convention was held in Addis Ababa, Ethiopia, 6-8 December. 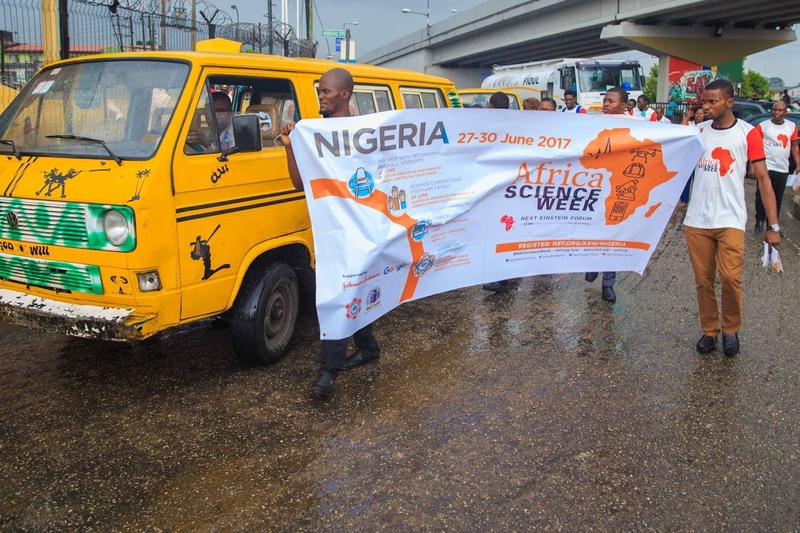 The three-day event's theme centered on: "The impact of socio-economic trends on the future of finance and business in Africa". 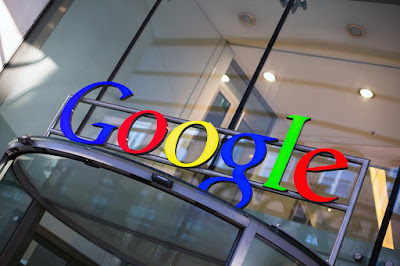 Despiting having all its channels blocked in China, Google has launched its new Artificial Intelligence (AI) research lab in the Asian country - aiming to take advantage of the booming AI market. 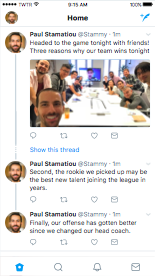 Twitter has announced plan to launch a new feature that may allow people to additional easily submit tweetstorms – that is, these assortment of associated tweets which have grown to turn into a widespread workaround for getting earlier Twitter’s character rely limitation in an effort to share longer concepts. 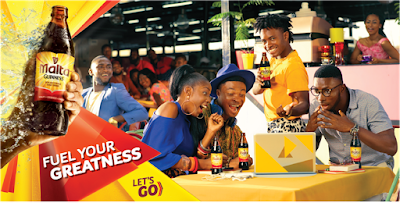 Leading marketer of alcoholic and non- alcoholic brands, Grand Oak Limited, has concluded plans to export its products to West African markets. L-R: Activation Executive, Grand Oak Limited, Mr. Benson Oluwafiropo, Trade Marketing Manager, Grand Oak Limited, Mrs. Adenike Lawrence, Managing Director, Grand Oak Limited, Aare Fatai Odesile and C.E.O, Balmoral, Mr. Ezekiel Adamu at the company’s stand during the International Drinks Festival held at Federal Palace Hotel, Victoria Island, Lagos. 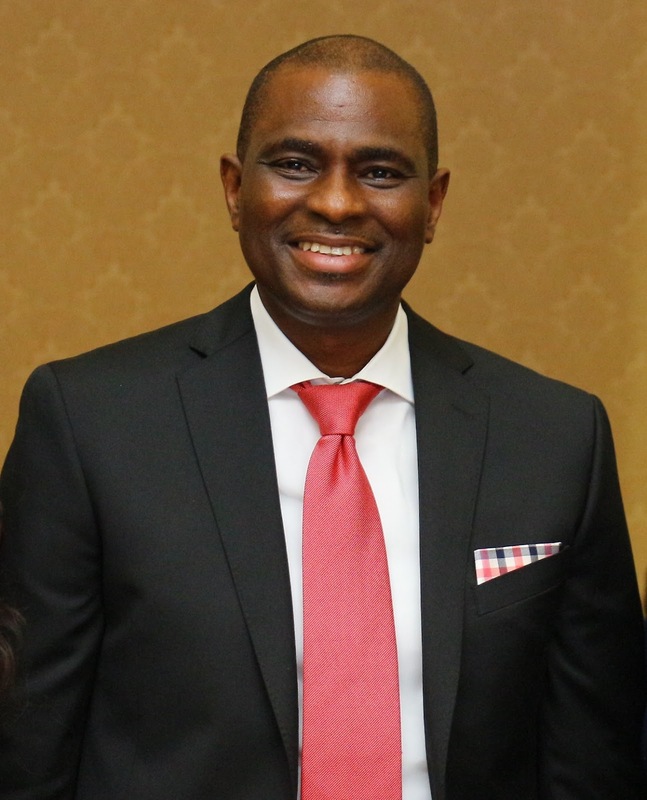 The company’s Managing Director, Aare Fatai Odesile made the disclosure at the maiden edition of the ‘International Drinks Festival’ held recently at the Federal Palace Hotel, Lagos where he enlightened consumers on the benefits of alcohol and the need to drink responsibly. 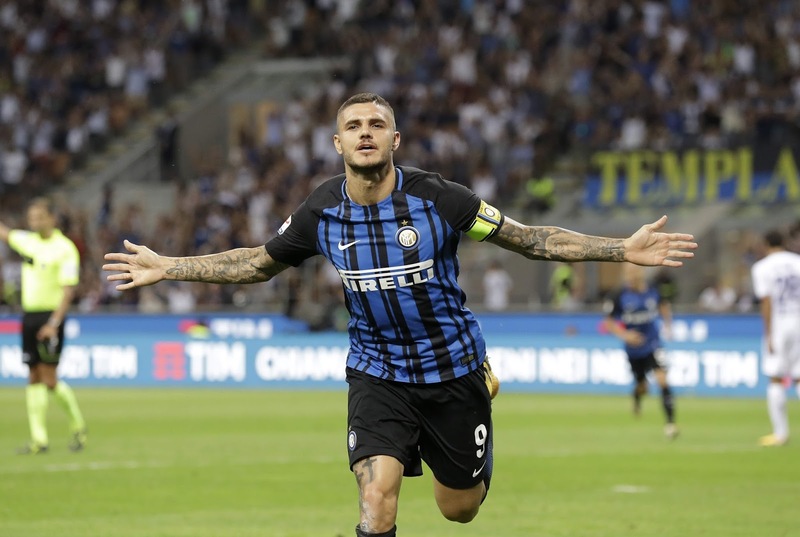 Inter Milan has officially launched an offering of secured bonds worth €300m ($355.5m), which the Italian Serie A football club is set to promote in cities across Europe. Achraf Baznani and Yamal Din, Morocco, Aissa Mammasse, Algeria , Jimah St, Nigeria and Olesya Novik, Russia / Egypt are the African artists whose work will be present in The International Surrealism Now 2017/18 Art Exhibition in POROS Museum in Condeixa village in Portugal. 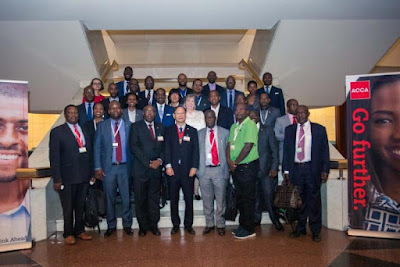 General Electric (GE) Nigeria, yesterday released a whitepaper titled "The Future of Work in Nigeria. Bridging the Skills Gap: The Key to Unlocking Nigeria’s Inherent Potential" as part of the company’s global ‘The Future of Work’ series to highlight the need for investment in sustainable skills development.